The ethnic minority women of Thailand handcraft this set of purse with cotton and polyester. 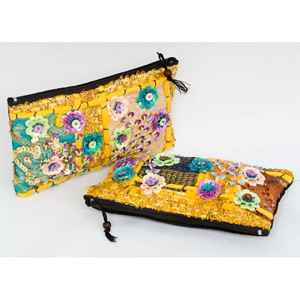 The vibrant floral decoration is embroidered and stitched by hand with colorful plastic sequins and beads. Fully lined with cotton, each unit has a zipped inner pocket to keep small items secure. 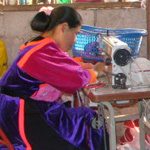 The artisans close each purse with a zipper.